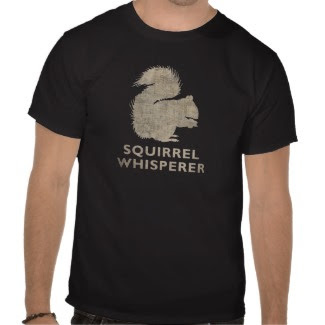 Funny "Squirrel Whisperer" Shirts for Men, Women & Kids. You can buy this shirt here. Are you or someone you love a "squirrel whisperer"? This shirt features a detailed outline of a squirrel printed with a faux-weathered texture. It's a great gift for any person who loves squirrels or has a special connection with animals. This shirt is made of high quality material and comes in a variety of colors and sizes. Styles include long sleeve shirts, sweatshirts, and more. Express your squirrel love with this funny squirrel shirt!